Do you like Office Strike 2? Share it with your friends. 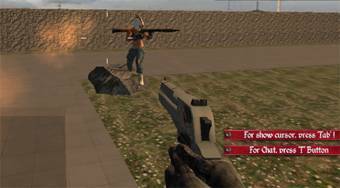 Office Strike 2 is the second part of an excellent 3D multiplayer shooter. Choose a free room, join one of the two teams and play. Move around the rooms and outside the office building, and with different weapons, try to get as many points as possible for your dead enemies.